Mobile Suit Gundam SEED Destiny Wallpaper: .:A.T.H.R.U.N:. Minitokyo »	Mobile Suit Gundam SEED Destiny Wallpapers » Mobile Suit Gundam SEED Destiny Wallpaper: .:A.T.H.R.U.N:. as you notice... I WILL be spamming grunge walls from now on! ya! with new stuff im ganno learn very very soon! The bonehead who did nothing but scream peoples names in GSD. But in epi.35... he redeemed himself! great wallpaper, the background looks good, i like the colors you used. the chara fits in pretty good too. >< love your color combinations duddiiee ..
wow its very nice it has athrun on it ...athrun.........anyways nice job! OMG! he is soooooo adorable! * hugs Shadowdude* thanks for making a awesome wall of Athrun! He is just sooo damn cool! u-U Hope to see more of your work! see ya! Gonna spam us with Grundge-Wallies?! yeah! anyways, very cool wall... well of course, it features Athrun XD anyways very good job! and spamming grunge walls from now on... wasn't that what you did before?? i'm confused ^_^' XD oh, one question... why is there "nymphomaniac" written on this wall ? Another grunge wallpaper that's nice and cool. The character is good in this wall. absolutely love this wallpaper! the grunge effect is soooooooooo cool! But most importantly, Athrun looks hot!!!!!!! ahhh Athrun I love you :D !!!!! I love this wall. Necessarily I must add it to my favs. Great work. Nice wall. I agree, Athrun has finally done something in GSD besides just of moping around the Minerva. Good job! 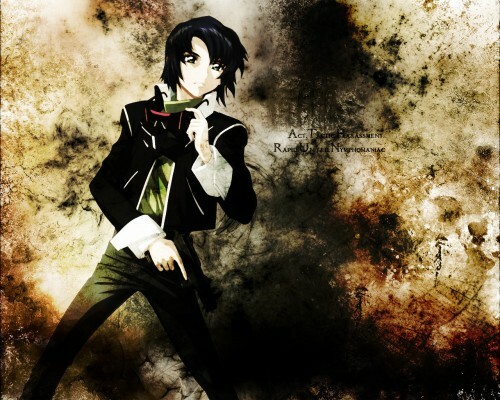 Awesome Athrun wallpaper. I love the colours and the grunge effects here. Thanks for sharing! Nice wallie! Athrun is da best! Add 2my fav. Arigato!